Surgeons and other medical professionals work hard, put in long hours and regularly deal with life-and-death situations. Add to that load unpredictable schedules and the difficulty of creating and maintaining a work-life balance, and it is easy to see how burnout and stress can become a problem. Dr. Tait Shanafelt, et al. 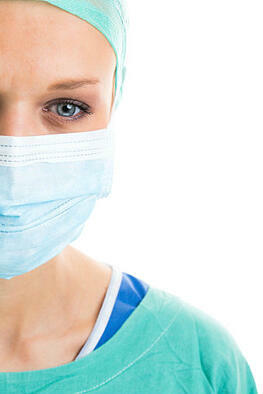 in 2012 found that 40 percent of surgeons they surveyed were burned out. In addition, 30 percent had positive screenings for symptoms of depression. It’s no surprise that if left unchecked, symptoms of burnout and depression can lead to counterproductive, unhealthy behavior that has the potential to affect your quality of life and patient care. How can medical professionals reduce burnout and stress when dealing with the demands of rigorous schedules and the needs of patients? To achieve a work-life balance, make a list of personal values and priorities and of professional values and priorities and integrate them. Reshape your practice to focus on the areas that are most meaningful to you (for example, patient care, patient education, medical education, research). Evaluate your skillset. Would improving your skills in a certain area or seeking additional training in a specific area reduce your stress at work? Find time to connect with colleagues and discuss the stressful and rewarding aspects of your practices. Nurture the personal wellness strategies that are of importance to you. Make sure you get adequate sleep, exercise and nutrition. Also, make time to receive regular medical care. If you notice some of the symptoms of burnout, the American College of Surgeons recommends asking for help — whether that is through asking colleagues to do some of your non-critical tasks like charting or finding a group of peers to connect with and share your experiences. Make a list of the stressors you are experiencing, and next to that list write a way you could modify it to reduce that stress. Delegate. Like asking for help, see if you can delegate tasks like paperwork or other non-critical items. Resist the urge to say “yes.” It’s OK to not take on any new projects or commitments while dealing with burnout. Though burnout is a common affliction in the surgical field, it does not have to be career-ending. Recognizing its symptoms, taking time for yourself and asking for help when it is needed can help you stay on track.